Airfare-Inclusive, 8-Night Tour of the Great Barrier Reef and Sydney for Just $2,849! An eight night Australian tour of the Great Barrier Reef and Sydney, with Virgin Australia airfare, luxury hotels, and tours included, for $2,849 per person. It’s a savings of $1,100 off comparable packages. Seeing the Great Barrier Reef up close and under water is virtually priceless, but the cost of this airfare-inclusive trip is affordable, with excellent accommodations and tours arranged for you. You’ll start with four nights in the coastal town of Port Douglas at the 4.5-star Shantara Resort & Spa. While there you’ll enjoy a full-day Great Barrier Reef snorkeling tour (lunch included) and explore the Daintree Rainforest. Then you’ll fly from Cairns to Sydney (airfare included) and spend four nights at the 4.5-star Four Points by Sheraton Sydney, Darling Harbour. 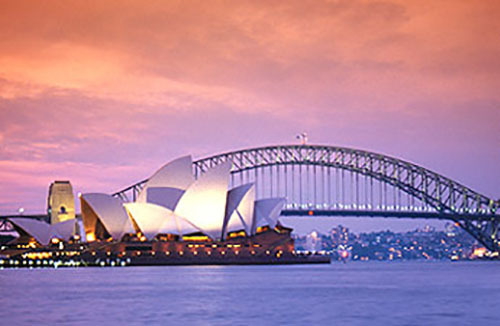 Included tours in Sydney include the Opera House and a hop-on, hop-off cruise of Sydney Harbour.